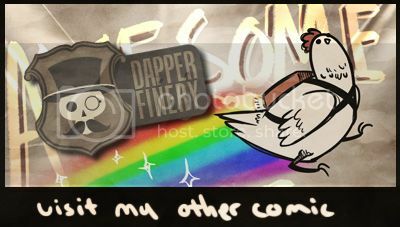 I also updated Dapper Finery!!! Nergil and Zoey come back, too! Since I’ve swapped out monitors I’ve noticed how horridly dark and shaded a lot of stuff was, so I used lighter shading and colors. Hopefully it made things a bit nicer looking. Well i guess we know why thereès monsters everywhere in motokool. That, and Brittany and Brian (as well as every… um.) used to be bears. Hell of a monster mash.